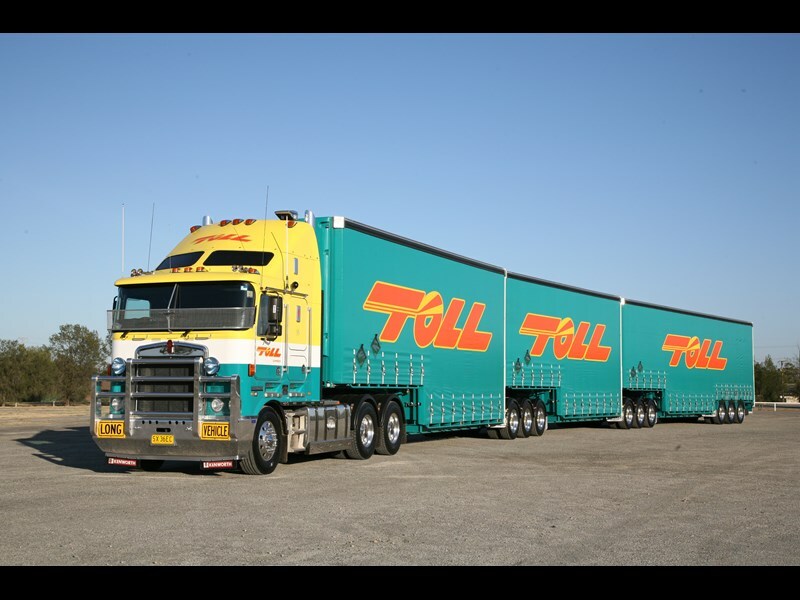 When we caught up with Noel Riley, he was doing one a week, Adelaide to Perth, driving a K104B, pulling a B-triple for Darwin Linehaul. Since then, he has changed over to the Adelaide Darwin run, pulling triples with and a T904; still with Darwin Linehaul. "The whole b-triple combination was new and is great to drive, but what really surprised me was the way it handled and tracked" says Noel "you have to look after it and wash it a bit more often. I’m a bit fussy about these sorts of things and try to keep the gear looking nice." Noel would leave on Saturday at lunchtime and arrive in Perth anywhere between two and five o’clock the following Monday morning. He would leave again on Tuesday night. This allowed him time to wash and clean the truck. It was great freight as Noel only had one drop and that was the rear trailer. Noel had been driving cabovers for between seven and nine years. 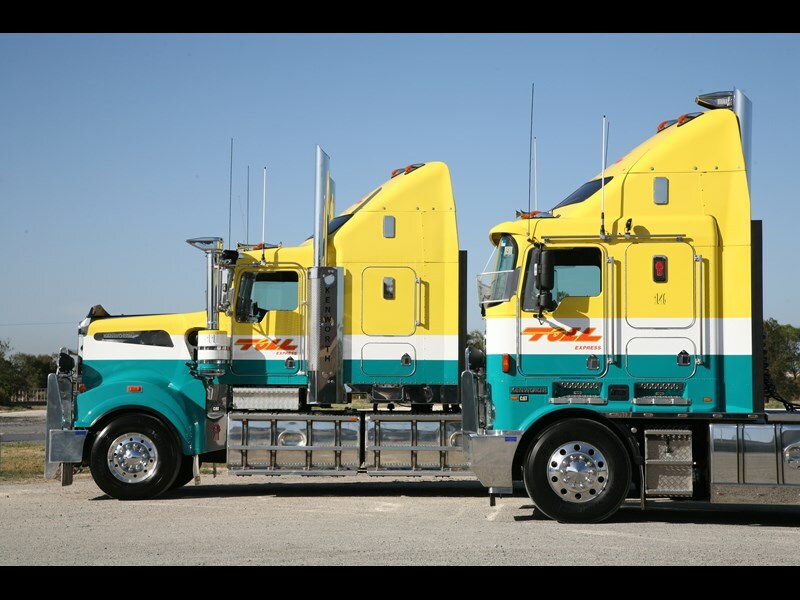 Back then, cabovers were the bees knees with everyone wanting to drive them. Starting his driving career in coaches back in the early 80s, Noel had 14 years in total with McCafferty’s and Greyhound. For Noel it was like driving a cab over, sitting over the steer all of the time, although Noel was sure that the bus was smoother. "I quite enjoyed it, the run to Perth. The K104B was 300 mm longer in the wheelbase, making the ride a lot smoother. It was a lot quieter as well, the cabovers have improved a lot although the air-conditioning still has trouble keeping up with so much heat coming up from underneath" states Noel. The big triple has a capacity of 74 pallets, (50 on the deck and 24 on mezzanine floors), which Noel thinks is amazing considering that 30 years ago 20 pallets was a load! Both A trailers carry 14 pallets while there are 22 on the B trailer. Noel changed from buses to trucks for the money. 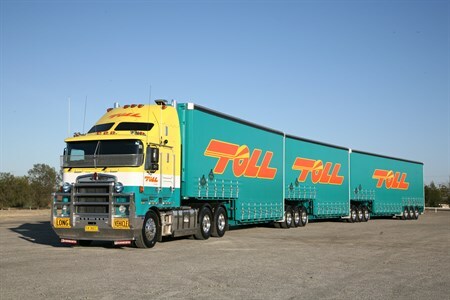 Most of his time in transport was up in Queensland prior to his moving to Sydney. 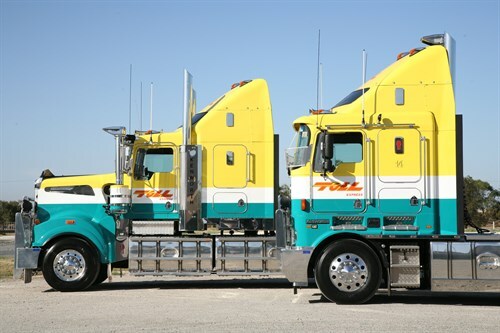 From there he moved to South Australia driving a car carrier for his brother-in-law. 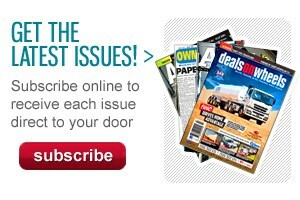 Asked a few months in the car carrier, Noel started driving to Darwin. Noel came off Darwin to run the Hume between Sydney and Melbourne. 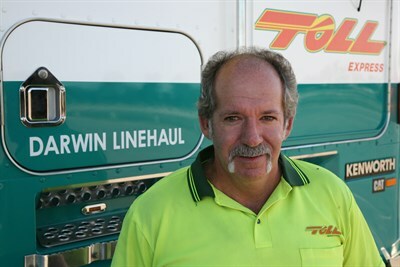 Noel has been with Darwin Linehaul for 8 months, having done a 6 ½ year stint with them before. "I gave the long distance away to do local, for a change! It’s a good job and a good company, you do your bit and you’re lucky to see the boss once a month. We start and finish before the office workers get in. If you have any problems, you write it on your sheets and it’s taken care of" says Noel "the fleet is updated every couple of years, and I’ve always got good equipment to work with. I quite enjoy it! No hassles!" Noel is running Adelaide Darwin pulling a triple with mostly refrigerated freight. "I leave on Saturday and get back into Adelaide Wednesday night. We run twoup straight through to Darwin, doing three deliveries on the way up, anything from two to four pallets at each drop. Once at Tolls, we split the train up and park them before picking up another three. We have a shower, grab something to eat, fuel up and then we’re out again" smiles Noel. When Noel gets back into Adelaide, he only leaves the following Saturday at lunchtime. He gets into Darwin Monday morning around 3am. 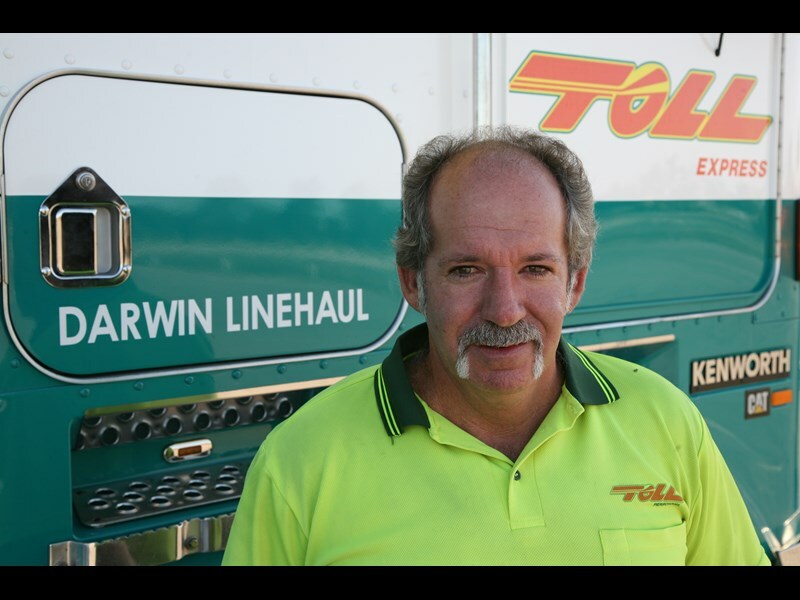 He doesn’t leave Darwin until six o’clock that evening, allowing for some time off in the trucks which Noel enjoys. The week Noel leaves on Saturday, he gets 4½days off while the alternate week when he leaves on Saturday, allows for 3½ days off. "The driver I double with has the same attitude that I do; get it over and done with as quick as you can and get home. It’s quite good, we’re spoilt, we have two fridges and a little stove. It is an express trip!" says Noel "now my wife actually says that I am home too much!" Noel drives a T904 with a C15 Cat under the bonnet which is putting out 585 hp under the drive. It is fitted with an electronic device fuelsaver. that creates hydrogen gas which is injected into the turbo intake, allowing the engine to run cooler and burn everything in the combustion chamber. Doing rough calculations, it is saving between two and 300 litres of fuel per trip; depending on wind and trip conditions. That’s a saving of around $500 per trip! Four Noel, the ride is close to perfect. He loves the long distances, the only annoying thing being with the grey nomads. Although Noel sees it as part and parcel of running up north, the majority have UHF and they will call you up. However, he still finds the odd one or two of that can make it very hard for him. "The only drawback running to Perth was being stuck in Perth for a day and a half. It was a bit too long whereas now I am up and back in three days, covering 6000 km. It’s making a mile, but it’s all still legal" says Noel. 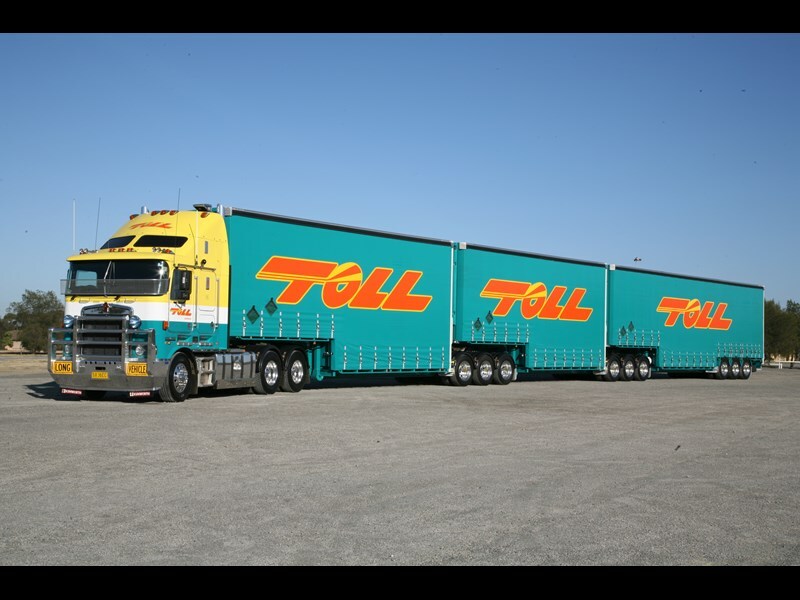 "While the trucks are painted in Tolls colours, the trucks are tricked up very well with all the fancy lights and chrome work. They have ice packs and carry maximum fuel in square tanks." The T904 carries 2600 L with Noel adding a further 1000 L in Alice Springs. For meals, it’s all taken with and stored in the fridges. Noel’s wife is a great cook and makes up the meals which are heated up in a little lunchbox heater. To relax, there is DVD and television. "While we don’t have a fixed driving pattern, but whatever we do up, we do the opposite coming home. It’s normally between five and seven hours between breaks. We take two trailers up to Port Augusta and by the time we waste 30 minutes hooking up the third trailer there, we will go through to Glen Dambo and swap over there. The next stop is that the border. From the border we go through to Tennant Creek, because we have a little mucking around in Alice Springs, so we have time to take a break. It’s then from Tennant Creek to Larrimah and then the last six hours through into Darwin." states Noel. "The work is changing all the time. 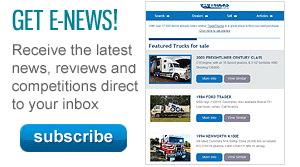 The volume of freight is increasing too. I enjoy it obviously because I keep doing it! The money helps but when you are driving the best gear available and averaging four days off a week, I am happy"